Canadian based manufacturer Kamik have over a century of experience producing out door footwear. The Jennifer rain boot is one of Kamik’s most popular boots. With a 16 inch shaft the Jennifer is a tall elegant boot that is both functional and stylish. Made from Kamik’s innovative recyclable PVC-free synthetic rubber, the Jennifer rain boot is exceptionally light and durable. I love these boots. I am quite tall and need a long boot and these are just perfect. I think they are just as good if not better than the tall Hunter boots. I would recommend these to anyone. I don’t know if these can really be classed as rain boots. 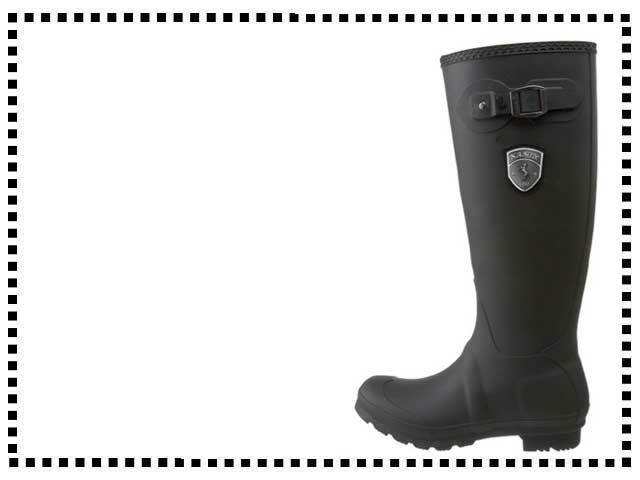 They are fine for a rainy day but they are not as waterproof as the classic wellie boot. They are cool though. I have been looking for a stylish pair of rain boots for some time and was going to go for a pair of Hunter Originals but in the end I took a chance on these instead. I am glad I did, they are fantastic. They are great quality and very comfortable. I’m not keen on the crazy funky rain boots, I prefer a sensible stylish boot and these are just perfect for me. Really great rain boots.